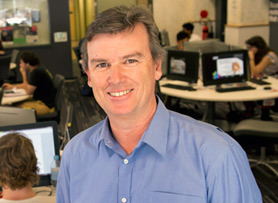 Professor Kevin Lyons' research focuses on the Hunter as a regional tourism destination and the visitor economy it generates. His research has involved projects in collaboration with Tourism Hunter and Hunter Wine & Tourism Association, regional tourism operators, NSW Parks and Wildlife Service, and local governments. Lyons addresses local issues including tracking regional tourism impacts, knowledge transfer among stakeholders in the tourism industry, the effects of volunteering models upon regional tourism, and tracking the education and marketing intelligence needs of Tourism SMEs in the Hunter region. His work provides tourism stakeholders with evidence needed to make informed strategic decisions about tourism in the region. Lyons has secured funding from the Hunter Wine & Tourism Association to put together a team (Dr Paul Stolk and Dr Tamara Young) to monitor monthly revenue generated by cellar doors, the accommodation sector, restaurants, conferences, and wedding functions in Hunter Wine Country. This unique research provides compelling evidence of regional wine tourism's impact on the state's visitor economy. Lyons' work has enabled the region's wine and tourism industries to work together, building strength to support regional funding bids via the NSW State Government's Visitor Economy initiatives.